I was bound and determined to come up with a recipe featuring meyer lemons I found at the grocery store. Honestly, I don’t think I’ve ever knowingly purchased some before. So while I was in the produce section, I looked over and saw some grapefruits and Voila! 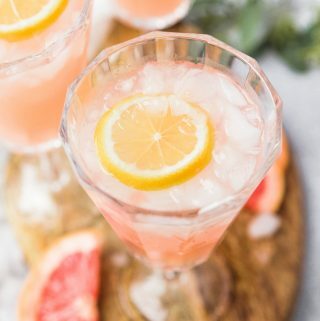 A paloma cocktail immediately came to mind. I first had a paloma when we visited Montreal this fall and I was like “I need to have more of these!” So good! I loooove myself a good margarita. Lime. On the rocks. With salt. Always. They are definitely one of my favorite vacation drinks. 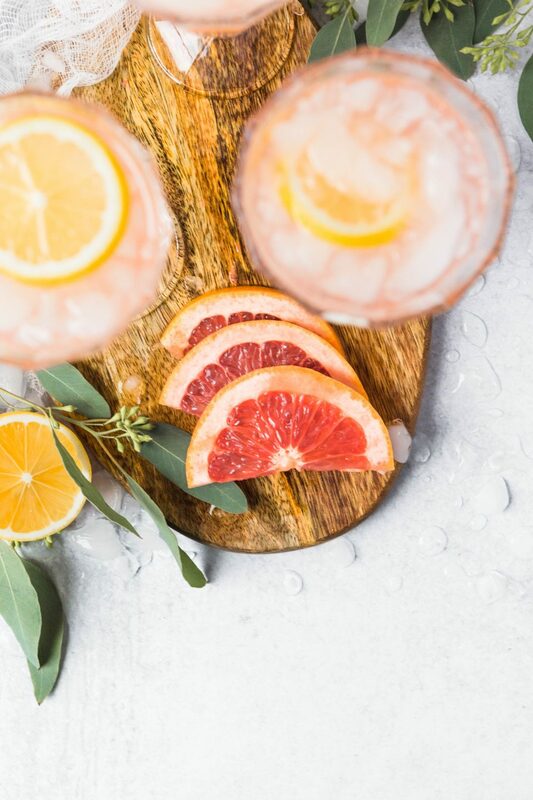 A paloma is basically a margarita but made with grapefruit flavors. 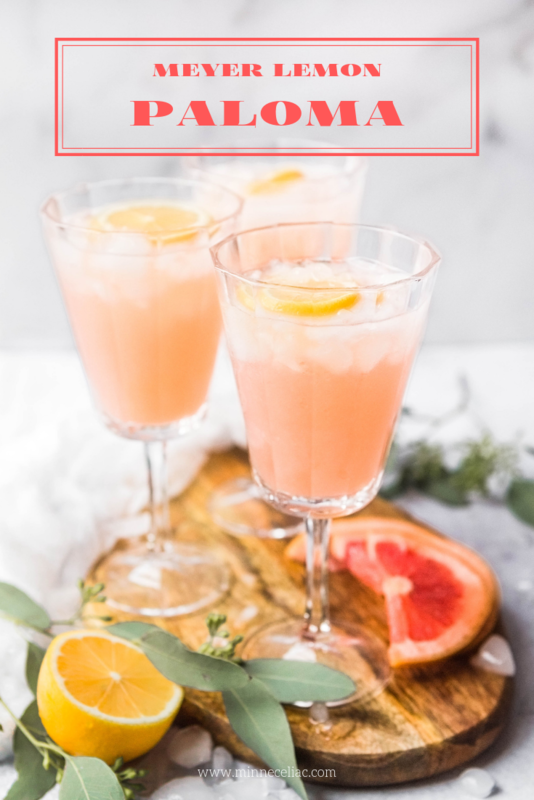 We already perfected our margarita recipe this summer, so I am pretty excited about this one to add to our cocktail recipe box! And good news!! As long as you are getting tequila made from 100% pure agave then it is naturally gluten-free. Most of the big brands like Jose Cuervo, Patron, Don Julio, etc. are safe to drink (PSA – always drink in moderation and find a safe ride home!). OK, back to the lemons. Meyer lemons are basically a little sweeter version of a regular lemon, kind of like a mixture of lemons and oranges. Still very tart though. They are in season during the winter months so this is a perfect time to use them. 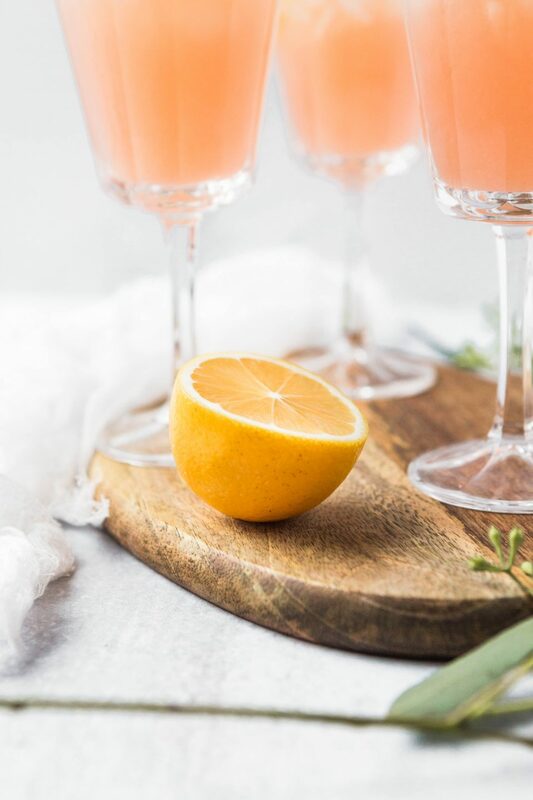 Typically palomas call for a little squeeze of lime juice, so adding in the meyer lemon juice instead really helps balance out the sourness of the grapefruit juice. One tip that I have for juicing the grapefruit is to put a fine mesh strainer over a bowl, cut the grapefruit in half, and loosen up the flesh with a fork. Then squeeze the grapefruit over the strainer to help keep the pulp and seeds out. You can do the same thing with the lemons, but I have a handheld lemon/lime juicer that we use that works amazing for smaller citrus. 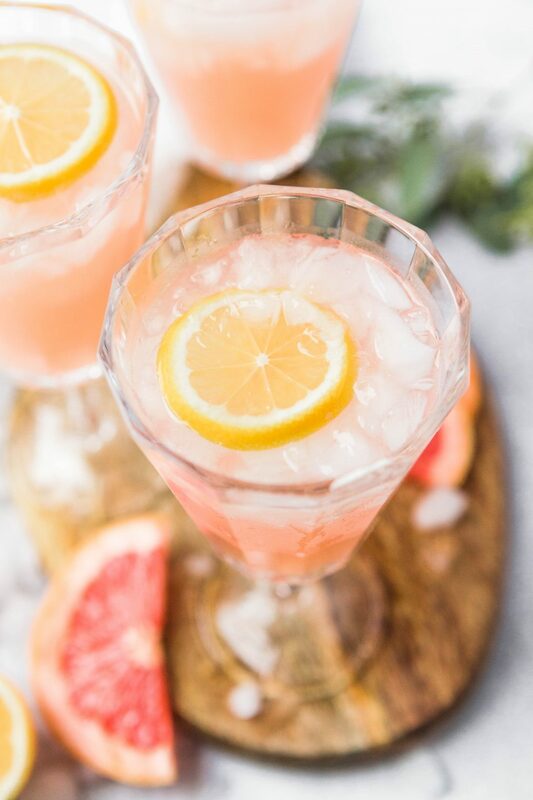 These light and crisp palomas are a beautiful combination of grapefruit, meyer lemon, and tequila! First, make simple syrup which is equal parts sugar to water. Heat 1/2 cup water and ½ cup granulated sugar in a saucepan until sugar is dissolved. Let cool before adding to drink mixture. Leftovers can be stored in the refrigerator. 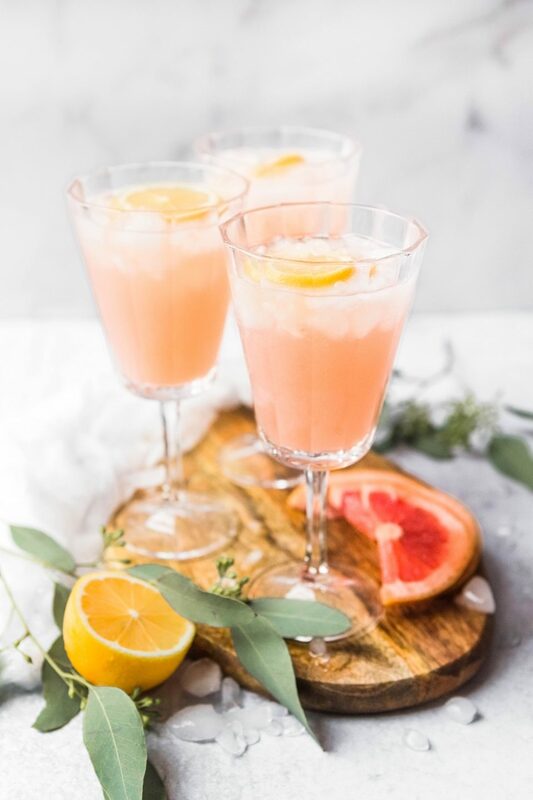 Juice the grapefruit and lemon. Add in tequila, simple syrup, and sparkling water. Hmmm, I’ll have to think up some good desserts now using meyer lemons! Bread, bars, cookies!! Lots of tasty things to make!